Writer Mylène Dressler grounds her prose in her experience as an immigrant and the day-to-day happenings of life around her. But for her new book, Dressler realized the story she wanted to tell was decidedly un-grounded. 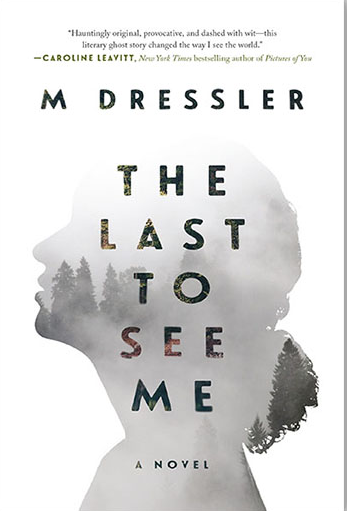 Host Frank Stasio talks with professor and author Mylène Dressler about her new novel, 'The Last To See Me'. In “The Last To See Me” (Skyhorse Publishing/ 2017) Dressler casts a spectral heroine, the ghost Emma Rose Finnis, who has unrelentingly haunted a mansion for more than 100 years. As the reader catches glimpses into Finnis’s long-forgotten life, Finnis herself must fight a ghost hunter and other living beings to protect the sanctity of her haunted home. Host Frank Stasio speaks with Dressler about her new novel and about the parallels between ghosts and the literary characters that haunt their writers. Dressler is an associate professor of English and creative writing at Guilford College in Greensboro. She writes under the pen name M Dressler.